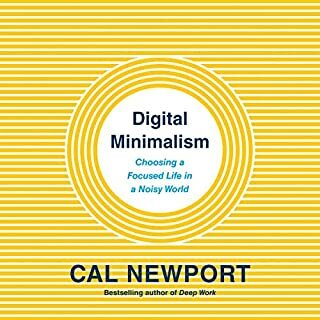 Cal Newport's clearly written manifesto flies in the face of conventional wisdom by suggesting that it should be a person's talent and skill - and not necessarily their passion - that determines their career path. Newport, who graduated from Dartmouth College (Phi Beta Kappa) and earned a PhD from MIT, contends that trying to find what drives us, instead of focusing on areas in which we naturally excel, is ultimately harmful and frustrating to job seekers. 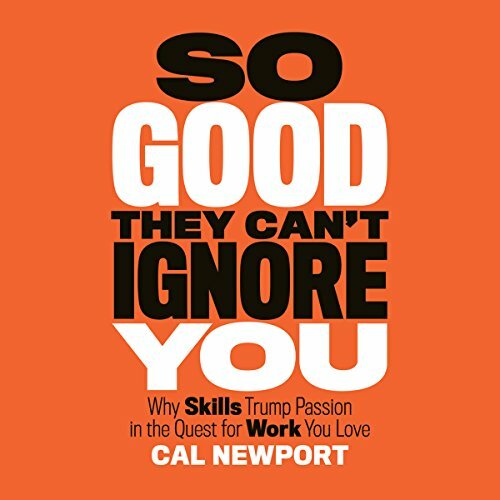 The title is a direct quote from comedian Steve Martin, who, when once asked why he was successful in his career, immediately replied, 'Be so good they can't ignore you', and that's the main basis for Newport's audiobook. Skill and ability trump passion. Inspired by former Apple CEO Steve Jobs' famous Stanford University commencement speech in which Jobs urges idealistic grads to chase their dreams, Newport takes issue with that advice, claiming that not only is this advice Pollyannaish but that Jobs himself never followed his own advice. From there Newport presents compelling scientific and contemporary case study evidence that the key to one's career success is to find out what you do well and where you have built up your 'career capital' and then to put all of your efforts in that direction. I actually avoided this book for a while because I got the impression it attacked liking and enjoying what you do. It's far from it. Cal Newport does not attack following your passion as long as you have the right skills to back that passion up. I'd actually change the title to "Become good at your passion before you follow you passion". Cal gets into the concept of career capital. If you want to open up a restaurant just because you enjoy occasionally cooking on the weekends for your friends and you're good at it, but have no real concept of organizing, running a business or dealing with issues....simply don't follow you passion. Building a business based on a passion will require much more than just being good at that specific thing you call your passion. You have to have a lot of career capital behind it to back it up. This is why Cal recommends to get good at things before you decide to take it solo. Passion alone will not get you through. On the other side if you get really good at what you do (be it accounting, analyzing or any other activity that may sound boring) you'll find that it gets much more fun along the way. Getting good results out of an activity you're performing really well will make you like and enjoy it. And I find this concept really interesting and true. So even if you are a hard advocate of "follow your passion" and "love what you do" believe me this book will give you a lot of value. It's not meant to crush following your passion but dissect it into logical steps and decisions. On the down side I think that the examples give in the book are a bit too shallow (someone giving up on their studies in order to start a blogging site) but then again this is probably the case for many young passionate entrepreneurs and Cal wanted to target them. All in all I would put it in the "must read" list. And then get your hands on "Deep Work" as it is a nice continuation of the ideas in this book. In a world where every big name says ‘follow your passion’ ..it’s kinda hard to believe that following your passion can actually be a really bad advice. I was totally against this book until I red it. All my confusion around the subject ‘passion’ is now much more clear and thanks to this book, I’ll be laser focused on being so good that people can’t ignore me instead of just following my passion. Thank you so much to Mr Cal Newport for writing this book and a big thank you to the narrator of this book Dave Mallow. I didn't like the book but I liked the ideas. So I think it was worth the listen. The book has a few very interesting insights but there's very little support for his claims outside a few stories. That being said, I wouldn't bet against his assertions being true. I can't put my finger on it, but the writing lacked something. Maybe it was that the stories wasn't engaging or that the definitions weren't clear. This book discusses content already familiar to those with a good understanding of society and how possessing substantial skill in ones chosen field obviously allows you to take strides ahead. However, it uses some very well presented, if mathematical type arguments to present theses on how we should push for certain types of skill focus and surrender to other types of unhelpful career dreaming. The literary tone employed is admittedly rather dry, clearly exposing elements of the very logical, and mathematically minded authors way of thinking. Fact that it debunks passion hypothesis is what makes the book stand out. So much trash has been written about passion that most tend to believe it as gospel truth. Intact it made me feel inadequate despite having acquired career capital in my 22 years of working with the government in India. For once I feel adequate to take on critics who trivialise the work we do. It also reaffirms my belief that systematic hard work is the only way out no matter how “uncool” it may appear. 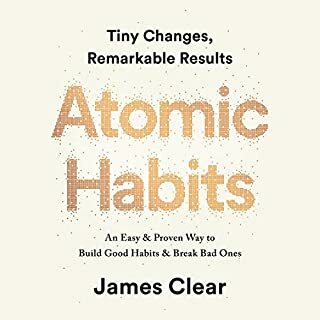 This book along with Deep Work is what I’m recommending to my teen kids and nieces who are set to embark on college life. In one word this book is life altering! A different, innovative approach to work. 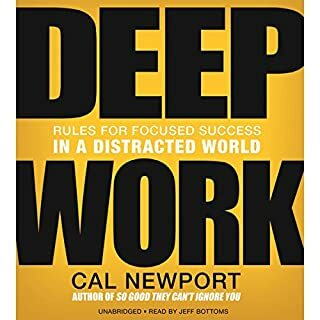 After hearing this book recommendation several times from different sources and reading Cal Newport's book Deep Work (and loving it), I just had to read it. I was not disappointed. 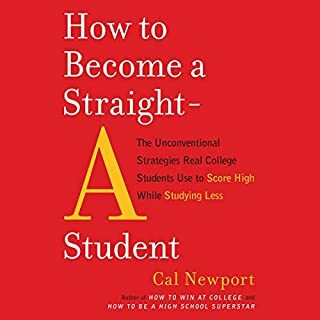 I found myself in many of the dilemmas that Cal Newport found himself in in his post-college years and think that this book could be extremely useful for any young researcher looking to build a strong career and a happy life. The way this book differs from many other self-development and career-development books that I've read is that it, for a change, does not provide you with the same recycled information and logical conclusions you might have heard anywhere. I value the effort and time the author put into the interviews the books is based on and his own openness when it comes to the challenges he faced. Based on personal experience and these interviews, Cal Newport provides the reader with a set of rules/guidelines and many smaller tips and tricks on how to gain the "career capital" to build a strong foundation for yourself, how to take things step by step when it comes to the development of career and, most important, how to stay sane throughout this whole process. I am definitely rereading this book! I love how clear, simple and useful this book is. I'd recommend to my friends. Quality content which drew from real cases and serious thoughts and experiences. This book not only inspires me to do the best in my current job, but also give me a better perspective about carreer. Overall, this book is interesting. It was reassuring and motivating to learn that my career will probably be what I make of it, and that it's probably not a matter of falling into a fulfilling job by chance. (I use the word "probably" because of the lack of empirical evidence cited in the book). But the lack of supporting research evidence, or clear guidance in identifying next steps (rather than retrospectively looking back on successful people's correct choices, or unsuccessful people's incorrect choices) has left me feeling dissatisfied. A follow-up book containing these two features would be warmly welcomed. If you could sum up So Good They Can't Ignore You in three words, what would they be? Completely changes attitude to work. The concepts, tools and techniques shared in this book are potentially life changing. If you feel trapped in a job and want to find out ways to change your attitude to the job then I recommend this. Cal's writings on how constantly changing jobs looking for a job you love (rather than first trying hard to find what you are good at in your current role and maximising this) are mind changing (for me anyway). Straightforward and actionable. The best book on the topic by some margin. 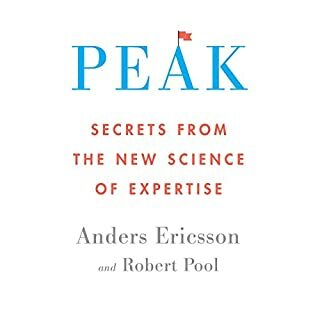 Gives a solid roadmap applicable to any career. I would recommend this to anyone who's planning or in the process of building their professional career, regardless whether they're happy with it or not. What other book might you compare So Good They Can't Ignore You to, and why? How to Get Things Done by David Allen, it's similar concept, but is a lot more broad and almost timeless, I think more people would find this book more useful. First part of the book, when "follow your passion" mindset is deconstructed. A film cannot be made out of this book, it's a guide or a manual. love it. A sensible and scientific approach to loving your career and transforming it into a mission. Just listen to the last chapter. Good book. Just read the last chapter and save yourself some time. It sums it all up. Way too repetitive and nothing I’ve not yet heard. I found it incredibly annoying . I want to return it . I won’t be finishing it. Practical advice and a great complement to the written book. Well worth it, great message. brilliant book, well written and read. easy, clear and practical prinicples. a lot of this is counter modern culture advice. in my top 10 and I would recommend it to many people at any point in their life or career. would 100% recommend this to anyone who is thinking a career change eill make them happy, or wants to "follow their dream." Before you do anything this is a must!! will listen again and again.. I enjoyed this book particularly because it not only have stories about how to achieve a great career and life but the author has listed very practical and logical steps on how to get there in the way of processes. Deliberate practice where are you set out to focus on purpose on a task that is beyond what you are comfortable with is a brilliant practical application that he discusses. Another great takeaway was the soothing balm that comes with hearing stories that the path isn't always straight ahead and that if you keep doing your best work and search the adjacent possibilities and act on them, that you will come to your own personal mission and triumph. Control as a part of the career elixir, I think he called it, makes a lot of sense in a world where we don't want to work 9-to-5 in an office job and that is a component of why leaving it all behind to work on a farm becomes so enticing. I love that he investigated that and came up with a base reason of this trend so that we can find that control within our own careers and feel like we have the autonomy to make free choices. Overall the books message is to keep working and build career capital, stretch yourself by deliberate practice which also helps build career capital, and continue to look to the adjacent possibilities in your field, and be comfortable that this will take many years to gain enough career capital to have control in your working life. Getting your career on track. This gave me direction and purpose on how to make my work life better. For a while now I have been dreaming about my passio, computer games. I have many skills in corporate IT and software development mangement. But I pine my days dreaming about developing computer games instead of a corporate product. I now understand what I need to do in order to make my work life better. get control over what I am working on. 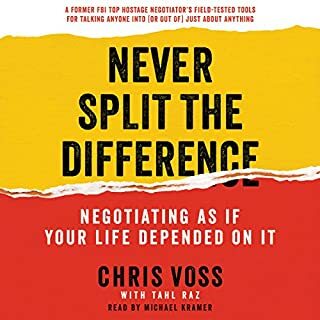 This audiobook gives me great insight into how to do it. The teachings in this book needs to be illustrated to school students. If schools highlighted this information to young minds preparing to enter the work force they would have a greater understanding of how to develop skills do they can work the way they want. If like me you constantly think about a better career or even different career then listsn or read this book above all others. It puts it all into perspective and makes perfect sense. Even if I do not 😁. It reinforced things I have been doing throughout my own career and business life, but had no idea of the power unti now.